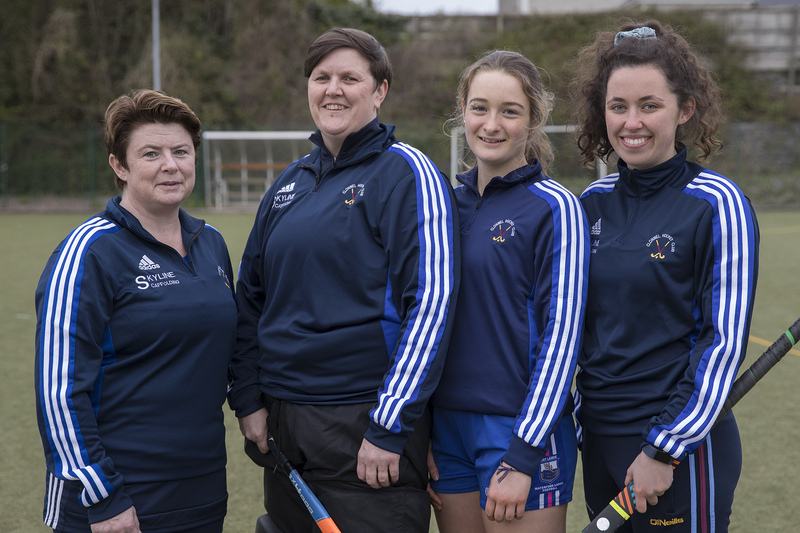 From left, Emily O’Dea, Roisin Moroney, Heather Ronan and Caoimhe O’Connor are looking forward to Clonmel Ladies Hockey Club’s All-Ireland Challenge Cup Final against Dromore, from Co. Down. 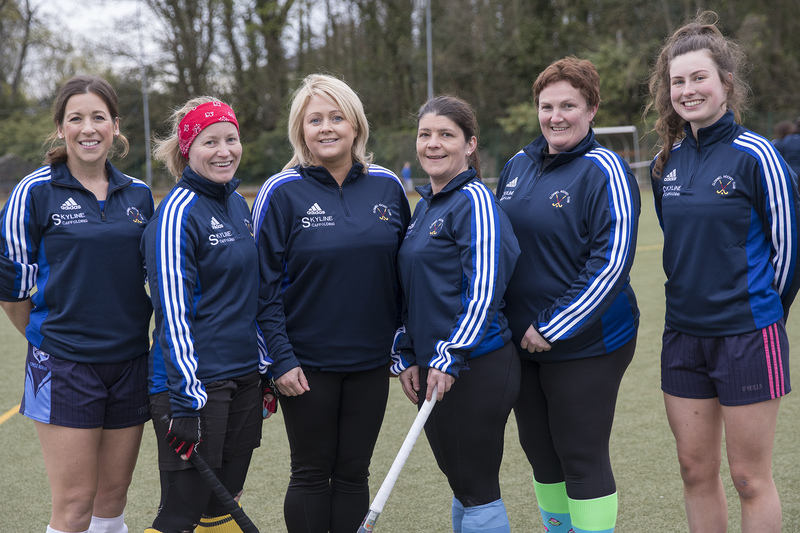 Clonmel Ladies Hockey Club are hoping that history won’t repeat itself this weekend. The club is delighted to have reached its second All-Ireland Challenge Cup Final, which they will contest at the Pembroke Wanderers club grounds in Dublin at 12.45 on Saturday. However the last time they reached this stage 11 years ago they were beaten 1-0 by Dromore from Co. Down - the same team who will provide the opposition in this year’s decider. Clonmel have five survivors from the side that contested the 2008 final - Barbara Ryan, Maeve Murphy, Ger Boland, vice-captain Marie Mulcahy and captain Susan Meaney - and they are particularly keen to avenge that defeat. “We have a good mixture of youth and experience”, says Ger Boland, who is also club chairperson. “We’re playing really well and the team is fit and very focused”. Teams from divisions two and three are eligible to compete in the Challenge Cup. Clonmel, who play in the second division of the Munster League, went close to reaching another final this season, only to be narrowly defeated by UCC in the Munster semi-final. However they have steadily built momentum in the All-Ireland competition. In the earlier rounds they beat Cork Wanderers, Clonakilty (recording their first win over the West Cork team) and Blackrock before taking on Tipperary Hockey Club in the semi-final. They shaded an exciting game, watched by an attendance of approximately 400 at Rockwell, one that was eventually decided by a penalty shootout, with Kate O’Sullivan scoring the decisive shuttle. Clonmel won’t be short of support in Saturday’s final, with three busloads heading to Dublin to cheer the team on. “We have done very well, considering we don’t have a pitch of our own”, says Ger Boland. The club has to play all its home games 13 miles outside the town at Rockwell College, but hopes this year to turn the sod on a full-size multi-surface pitch on the grounds of Gaelcholaiste Chéitinn on the Raheen Road, which it’s developing in conjunction with Loreto Secondary School and the Education and Training Board (ETB). Approximately €160,000 is needed to complete the project. Despite its lack of proper facilities, the club is thriving. As well as the senior team, the club fields one U-16 team and two U-14 teams. They also have approximately 80 children playing between U-12 and U-10. Training takes place for the U-10s, U-12s and U-16s in the Loreto Secondary School on Monday and Friday evenings. The U-14s train in the rugby club on Friday evening, while the senior team trains in Rockwell every Tuesday night. The U-14 coaches are Neil Kearns and Denis Cahalane; Dawn Grace is the U-12 coach and the U-10 coaches are Susan Meaney, Marie Mulcahy and Pamela Corcoran. The U-16 team, coached by Ger Boland, has won their league and are through to the Munster cup final in their first year competing at provincial level. Due to injuries, two players, Shauna Parker and Caoimhe O’Connor, have been brought into the senior panel from the U-16 squad, and their transition has been seamless. 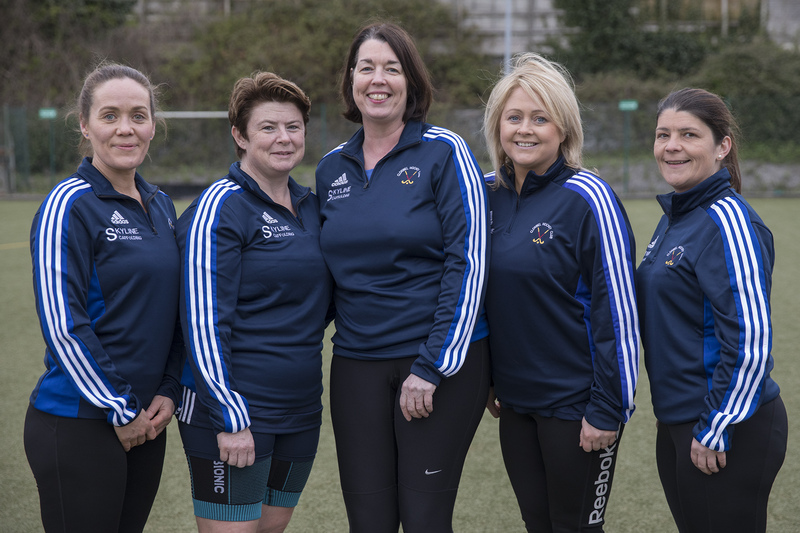 Five players - Jenny O’Brien, Pamela Corcoran, Ger Boland, Susan Meaney and Marie Mulcahy - have been selected on the Munster panel for the Masters Interprovincials, which will be held in Three Rock Rovers, Dublin on the last weekend of this month. Roisin Moroney has been selected on the Munster squad for the Junior Interprovincials, which will be held in Cork next month. Clonmel also have four players on the Munster U-16 development squad - Lucy Boland, Maeve Russell, Shauna Parker and Kate Flannery. The club is wished the very best of luck for Saturday’s final. The panel includes Jennifer O’Brien, Nessa Boyle, Susan Meaney (captain) Marie Mulcahy (vice-captain), Betty Barlow, Emily O’Dea, Pamela Corcoran, Roisin Moroney, Maeve Murphy, Kate O’Sullivan, Barbara Ryan, Aisling Deely, Ger Boland, Kim Ronan, Heather Ronan, Robyn Boland, Anmarie Browne, Shauna Parker, Caoimhe O’Connor and Jill Shanahan. The manager is Robbie Boland, Mark O’Driscoll is the assistant manager and the physio is Andrea O’Dea. The ball patrol co-ordinator is Dawn Grace and Lucy Boland, Maeve Russell, Abbie O’Sullivan and Enya Mulwald are on ball patrol.